Often seen as an upmarket alternative to caravan or camping holidays, a lodge stay is designed to offer holidaymakers luxury and quality. Pic: Pinelog. Switched on holiday park operators must step up to the perpetual plate of not just meeting but exceeding guest expectations. Quality accommodation, combined with flexible booking and strong availability, is not just recommended – it is imperative. From top-end lodges to more value-based options, holidaymakers aren’t just happy to be away on holiday any more – they demand much, much more than they have at home. In a bid to stay ahead in a highly competitive market, the drive towards high quality holiday accommodation, over the last two decades, has seen real innovation in the holiday park and lodge sector, as developers and manufacturers strive to innovate. While there is no doubt that lodges have a higher capital cost than traditional caravans, the higher return on investment can be considerable. As a starter for ten; cabins and lodges attract longer let periods than caravans, typically being very popular in the ‘harder to let’ shoulder months outside the peak season. On the flip side, because of this extended season, it is imperative that lodges are well-built and insulated. 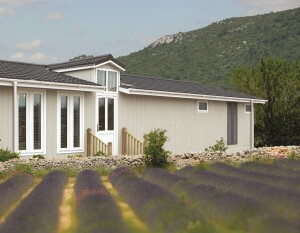 Pinelog has been manufacturing lodges for more than 30 years. The company produces lodges well in excess of BS3632:2015, which translates into trouble-free ownership and low running costs for its customers. “As manufacturers and operators of two award-winning parks of our own, we have a unique insight into what makes a good holiday lodge, both from the holidaymaker and park owner’s point of view,” explains Pinelog’s Paula Skelton. 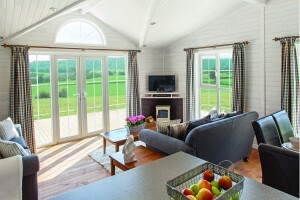 “Our warm and hard-wearing timber interiors are perfect for low maintenance holiday letting." From top-end lodges to more value-based options, holidaymakers demand better than they have at home. Pic: Omar Group. Recognising the increasing demand for high quality holiday lodge parks in the UK, the Omar Group has recently launched a new franchise opportunity for landowners to create their own holiday lodge park. Through the Boutique Lodges, Holidays by Omar franchise, owners will be guided by the expertise of the Omar Franchising team to provide high quality holiday accommodation and service levels to holiday makers, from site development to park operations. Using a business franchise model, which provides a blueprint covering every aspect of running a business, the owners will benefit from an increased likelihood of success for their new park venture, particularly when compared to new entrants in the market looking to start up independently. Franchise owners will have exclusive access to two websites, which will help them to run a successful business. The public facing website will sell all the features and benefits of their holiday park, driving visitors and bookings. The second website, dedicated to franchise owners, will provide essential operational information and access to a valuable expert panel of suppliers and services. Meanwhile the Boutique Lodges partnership with Hoseasons will provide a personal approach, offering expert advice and support every step of the way, helping to develop a product offering that maximises each owner’s investment.